So, honestly I picked this book for the lame reason that it has been made into a mini-series and was featured on Masterpiece Theatre, a program close to my heart. Masterpiece Theatre, didn’t let me down and Sebastian Faulks’ s page turner outdid expectations. Starting off pre World War 1 in France, we are quickly entwined in the life of Stephen Wraysford, the protagonist as he settles down as a guest in the Azaire household. Stephen, an orphan, is sent by his benefactor to learn the textile business from Monsieur Azaire. Stephen’s character unravels beautifully through the book, subtle personality nuances mingled with straight forward biographical detail, bringing this strong in convictions yet vulnerable in emotions, young man(he is barely 20 when the book begins) to life in our imaginations. It’s easy to identify and sympathize with Stephen and I cheered him on as he flirts with and then has an affair with the enchanting yet unhappy lady of the house, Isabelle Azaire. Madame Azaire, is portrayed as an intrinsically free spirited, independent woman with very little opportunity to explore this side of her personality under first, her overbearing father and then her insecure husband. Even though Stephen and Isabelle’s love story ends prematurely in the first part of the book, the ferocious intensity of having loved and lost , shapes the rest of Stephen’s experiences so much so that even the horrendous experiences of War are mere events superimposed on this love story. 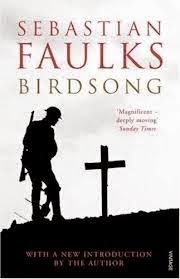 I have watched many War movies in the past and have been greatly affected by them but none come close to the emotions of horror Sebastian Faulks dredged up in me. People with weak sensibilities be warned this is not one for the faint hearted. The fears and foibles of ordinary folk, thrust into the extraordinary situation of a war have been dealt with, with brazenness. Man’s baser instincts aroused by the need to survive, co- habitating with the immense compassion and love that we are capable of feeling toward our fellow beings have been explored through parallel stories. The author adds another dimension to this tale of Love and War, by taking the story to the 1970’s where we are introduced to Elizabeth, Stephen’s granddaughter. Elizabeth, is a successful career woman, who is looking for more meaning to her life and decided to delve into the past to begin to find it. Personally, I was unhappy with this digression by the author. Elizabeth’s character seems like it was hastily thrown together by the author and adds, not sure what, to a book that is already filled to the brim with feelings and emotions. The book ends with a simplicity that is welcomed after the upheavels of love and loss, death and destruction. Stephen goes on to lead a simple happy life after the War and Elizabeth finds stability and meaning to her life. About Anupama Prakash: 'Heard somewhere that in order to be a good writer , the most important quality required is that you be an avid reader, and I'm going with that!' 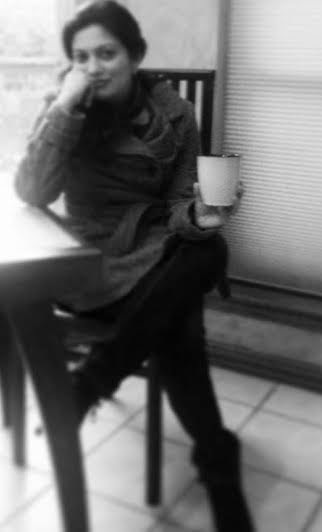 You can also follow Anupama Prakash on Twitter. Hi Anu - enjoyed reading this review. You've written a solid review covering all the main points. I hope there's more to come! So just to make sure I got the story right - the protagonist is so heart-broken by his relationship that he finds that he can handle the horrendous experiences of war? That the pain of heartbreak trumps the pain of war? IF this is the case, lol, this is one book I need to read asap! Thanks again for this excellent review. Hey Vishnu, Thanks for the comment. You bring up a good point. I think what the author was trying to convey was the numbness that we sometimes experience when we lose a personal war. The great war does affect him, but at some level he is not surprised at the lows people can skim! Truly enjoyed reading your book review and especially the part where you have cautioned the reader, saying that it is not for people with weak sensibilities or for the faint hearted. Also liked the way you summed it here: "The fears and foibles of ordinary folk, thrust into the extraordinary situation of a war have been dealt with, with brazenness." What a flow! How soon can you write the next book review.....that's really something I am looking forward to! I was very pleased to find this web-site. I wanted to thanks for your time for this wonderful read.